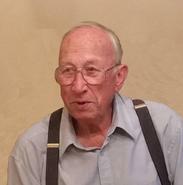 The International Brotherhood of Boilermakers Lodge 146 is sad to announce the passing of Brother Siegfried Mau. Brother Mau passed away on May 16, 2017, at the age of 82. He had been a member of the Boilermaker Union Lodge 146 for 28 years. Funeral has already taken place but condolences may be sent to: mountainviewmemorial.sharingmemories.ca.